From American standard (NPT, JIC, etc) to Metric (BSPP, JIS, DIN, etc), we have the hose ends to custom make any hose assembly you might need. WE DO IT WHILE YOU WAIT! We carry a full line of hydraulic hose in pressures ranging from 1000 psi single braid to 6000 psi multi-spiral along with a full array of adapters to help connect that hose right away. 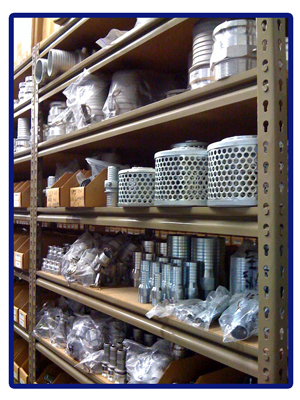 We are your answer for all hydraulic hose needs. We have a full line of hydraulic quick couplers in ISO A, ISO B, AG, ISO 16028 flat face, and many many others. Whether it's low pressure PVC hose for vacuuming up concrete slurry from a grinding projec or special thermoplastic hose for airless paint sprayers that spray hot thermoplastic paint for lines on the street, we've got the answer for your street maintenance hose applications. We also supply hydraulic motors for all your street sweeper applications. We have ready-coupled 50' and 100' pressure washer hoses both in 3000 psi and 5800 psi capacities. We stock guns, twin and single wands, straight-thru couplers and special 22mm adapters to accommodate just about any pressure washer hookup you might have. We supply sand blast, grout and cement hose. 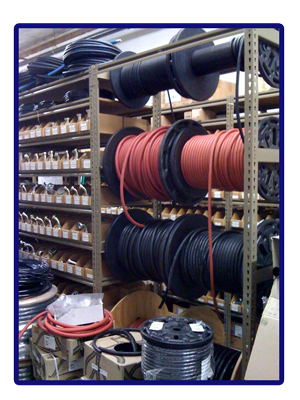 Large diameter air "bull" hose can be supplied in up to 100' lengths. We can custom make air lines from 1/4-2" ID and in some cases up to 700' continuous length. We are an AMFLO and Breco Distributor, so we have a full line of both automotive and industrial style pneumatic couplers and plugs. We supply special non-marking pressure hose in both 1/4" and 3/8", 50' standard length. We custom make stainless Teflon hose for high heat applications on your hot water system. We have special 1/4" brass carpet cleaning couplers that have stainless steel tips to resist corrosion.